The offer that SASSA ROLL-BAR offers to those interested in the sector is therefore very large. The off-road world is enormous, from Rally Cross Country competitions, to Trials, from Off Road to Formula Challenge races. At SASSA ROLL-BAR you will find the safety cage designed for your off-road model. TOYOTA LAND CRUISER KZJ95 Dakar Rally. 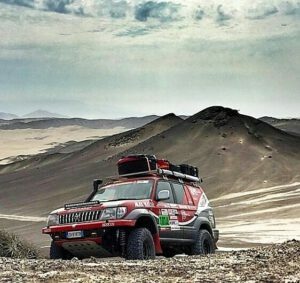 The Toyota Land with safety cage Sassa roll-bar that participates in the Dakar Rally 2018. The TOYOTA LAND CRUISER KZJ95 is ready for the Dakar Rally. The roll-bar we have designed and built was built not to interfere with rear passengers and use the 4 seats. 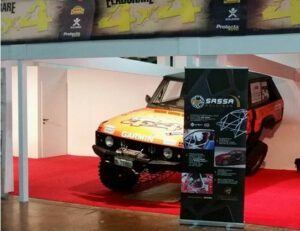 Sassa roll-bar also present at the 4 × 4 Fest 17th of Carrara which took place from 13 to 15 October 2017 in Carrara. The car that will participate in the Maroc Challenge is equipped with roll-bar designed, built and installed of the Sassa roll-bar and we will also deal with off-road safety advice.